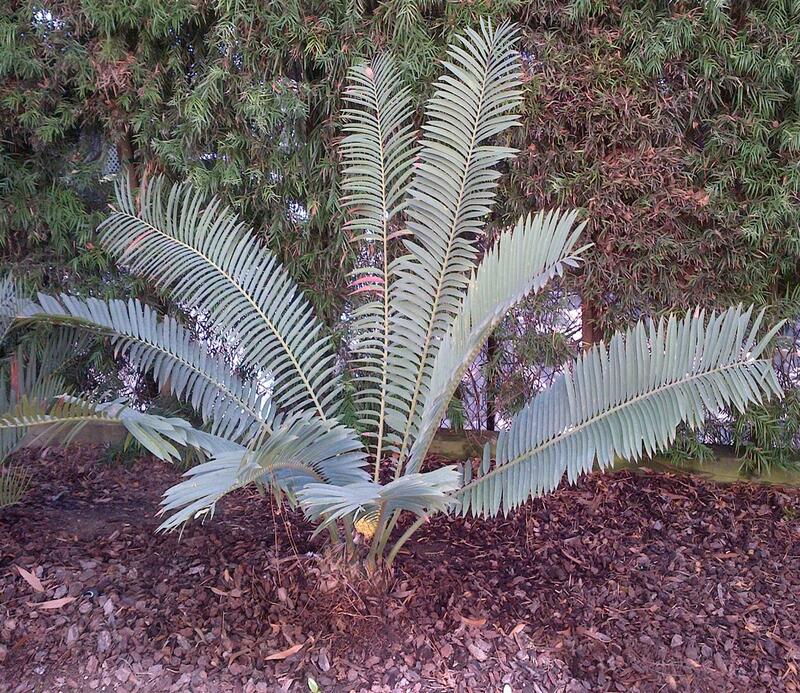 Encephalartos sclavoi, also known as Sclavo's Cycad, is considered to be one of the most distinctive and handsome cycads. Its leaves grow 5 1/2 to 6 feet long, dark green to blue-green, and semiglossy. Its seed cones are yellow, being 12-16 inches tall and 6-8 inches in diameter. Encephalartos sclavoi is native to the Usambara Mountains of Tanzania, a medium-to-large sized cycad, whose trunk grows to over 3 feet tall. It is more moisture-tolerant than most South African cycads. Even thoughthe habitat of E. sclavoi is close to the equator, the high elevation at which it occurs gives it a remarkable degree of cold tolerance. It can also be grown in full sun without its leaves burning.